Despite Germany re-affirming their role in the Final Solution, Israel’s Prime Minister has decided that Palestinians were to blame for the WW2 genocide. Although Palestine is a mere 1040 kilometres from Berlin, Mr. Netanyahu is convinced that Adolf Hitler was led astray by the then Grand Mufti of Jerusalem; causing Mr. Hitler to put aside his love of Jewish culture, renowned tolerance and a ‘promising’ career in water colours. Although Haj Amin al-Husseini met Hitler after the Holocaust began, Mr. Netanyahu explained that Palestinians may have had time-travel capability – which is contrary to the Torah. A spokesman for Mr. Netanyahu explained: ‘The Nazis are much misunderstood, whereas Arabs are a bunch of fascists responsible for invading Poland, the Blitz and the VW emissions scandal’. Meanwhile German diplomats were left bemused by Israel’s attempt to reapportion their guilt over the Third Reich. An aide to Angela Merkel said: ‘I really do think it was our fault, along with Rudi Voller’s mullet. We cannot pass our responsibilities to the people of Palestine; otherwise they would be required to bankroll Greece, perfect the sausage and sort out the mess that is Liverpool FC’. Mr. Netanyahu continued in his rant about Palestinian culpability, saying they may have had a hand in cancelling One Direction’s recent concert. His spokesman said: ‘They are to blame for everything. Bad viewing figures for the X factor. George Osborne’s austerity measures. Even the way your breath smells in the morning. The Palestinians are behind everything. 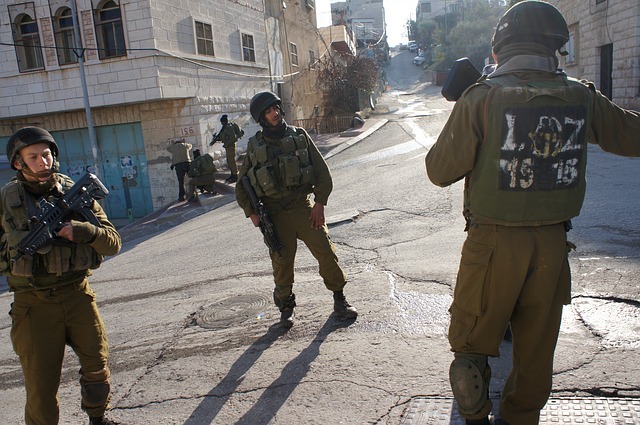 They are particularly to blame for getting shot by Israeli security forces’. This entry was posted on October 29, 2015 by Wrenfoe in International News and tagged Angela Merkel, Comedy News, Hitler, Nazi, Netanyahu, Palestine, Satire.